Rescue Network Nepal travelled to Jhapa district of Nepal on 1st and 2nd February, 2018, where we had our first aid training at Brotheran Assembly Church of Pastor Narayan Tudu at Haldibari, Jhapa. In Jhapa, there are minority rights group of people from communities like Rajbansi (Koch), Dhanuk, Santhal, Sattar, Dhimal, Jhangad, Kisan, Meche, Tajpuriya, Murmur, Gangai and Tharu. We got opportunity to work with Santhal Community this time and provide them first aid training. The community consists of castes like Hemram, Mardi, Tudu, Murmu, Hasda, Besra, etc. Most of them couldn’t easily understand our language and only spoke their own language, and it felt like they are left far behind from the modern lifestyles. We even saw Bible in their language but as they didn’t have their own scripts, it was written in Roman English. The question is how will they read that Bible if they were not literate; they won’t be able to read that English Bible. There were lots of children, who were malnourished, very poor in sanitation, and didn’t attend to any schools. We asked the people in that community about those children as we saw lots of children in same condition, and they answered that they do not send them to schools because of their economic condition. 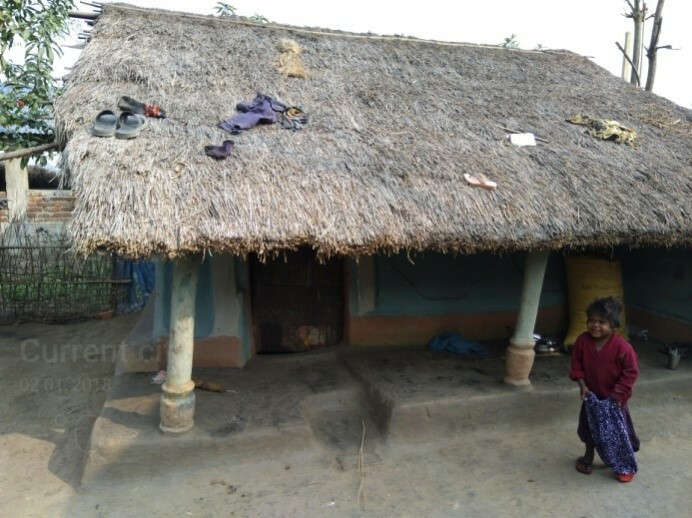 They were the flood victims and as they had migrated to that place only few months back from their previous place, they have not yet settled down properly in that new place. The houses they made were of mud with roof of hay, which seem like they would not get shelter in rain and they would face the same problem again. We also saw those children eating rice mixing salt and chili powder. We felt very sorry to see them in that condition and on the second day of the training, we bought some food and chocolates for those children. Another pathetic condition was the drinking water they had. We saw a filter made of clay pots kept one upon another to filter the water. But they had no clean and safe drinking water. When we were having lunch, we saw them drinking the same unclean and unsafe water. The color of the water itself was dirty reddish yellow and it didn’t even taste good. The health related trainings like first aid provided by Rescue Network Nepal is very essential to these communities and we got to experience this through our trip to Jhapa. They are even unaware about hygiene and sanitation. They had no nutritional foods and no clean and safe drinking water. The condition could be worse if they suffer from health problems. We also met some people with different health problems that are curable only if they have access to good food and health services. But that seem impossible when we see their standard of living. These people need prayer and support. © All right reserved 2018 by Dzinefolio Pvt. Ltd.